You are going to want a Water Wrap this summer! Do you remember last year when I chatted about the WaterWrapCarriers.com? P’Diddy was only a year and a half…sniff sniff…and we needed a lightweight carrier that I could use when we went to the pool or the beach. It reminds me of a Moby Wrap – a long piece of fabric that you easily learn to wrap around you and make baby snug. No snaps or buckles or anything to weigh it down. It’s light – airy – and wonderful! oh, and it’s made by a wahm mama! bonus points! They make terrific baby gifts ~ what mom doesn’t love to take her baby swimming? Perfect for the mamas in the south who can swim almost all year long…or any indoor pool for all year round use! Also, you don’t even need a pool – the lightweight material is great for any HOT weather! And the shower? ohhhh yes ~ used mine there too! WaterWrapCarriers.com sent one to my sister-in-law and baby niece who lives in Arizona. I know she will get much use out of it and can’t wait to hear what she says! We’ll be hearing from her later this week. Follow on Facebook as each month there is a new color on sale! I received these muslin squares for review and was not compensated in any way and all opinions are my own. This giveaway will end on July 9, 2012 at midnight EST. Winners will be drawn via rafflecopter. Once a winner is drawn I will contact them and they will have 48 hours to reply before I draw a new winner. Giveaway is open to anyone Worldwide and you must be 18 years of age or older. Giveaway not affiliated with Facebook & I release them of liability. Winner will be posted in the rafflecopter widget. would love a nice summer wrap! I need a summer wrap, because I am having a Summer baby this coming August!!! I Just bought one of these, but I know a friend who would love one too! I need one so bad! My daughter loves her sling but its so hot now! This would be perfect. Need a summer wrap for grandbaby. With 3 kiddos that are 3 and under, including 1 newborn, we could totally use this wrap! I have several family members that is having a baby soon. I would love to be able to give this to one of them for a shower gift. I'd love this for baby boy on the way. I live in Texas where it is HOT! Any other wraps tend to be way to heavy and hot to carry a child with. I would love to have one on our trip to Texas in July! I would love a summer wrap became we are at the pool and lake all summer long! baby #2 is due in October... In Southern California it will still be warm.... yes!! I need to win this! My baby loves the water! Would love to have one to beat the heat! I need one for my baby so that he is nice and snug while in the water. My new baby friend, Summer, and her sweet, young Mama need one! They live in the dessert! So you know they will get a lot of use out of it! Thanks for the giveaway! Blue Strong on FB! I need a summer wrap. One of the things I didn't like about wearing my dd was how hot I always got. This would be perfect! We definitely need a summer wrap. Baby #2 is due this summer, and a summer wrap would be fabulous at the beach or just at home (no air conditioner!). My baby boy JW is due Aug 3rd and I really could use this since the Tenessee summer is off to a very very hot start. I have always wanted a wrap, What a better way to start then this summer! 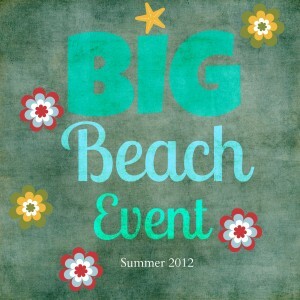 It will be our most favorite beach accessory! Florida gets SO HOT and we are always at the pool or the beach, so this wrap would be perfect for this summer! I do not have a water wrap, but at the cabin would definitely love to have one for out on the lake. I would love to have something lightweight to use in the Texas heat. This would be so great to have! I am a strong believer in babywearing and this makes it possible even at the pool :) Great product! My baby girl and I would love this! A swim wrap would be amazing! I only have one wrap, and it gets pretty hot, this would be awesome! The humidity in Tennessee is almost unbearable. We need a water carrier. I LOVE, LOVE, LOVE my Water Wrap Carrier! My baby loves the water! Would love a water wrap carrier. We absolutely need a summer wrap! I have a ring sling that we use, but I would LOVE to have a summer wrap to put my little guy in for when we are at the spray park and on really hot days here in Texas! With a baby on the way early next year, I'll need a summer wrap in 2013! I could definitely use a summer wrap. It would be very helpful! I would love this for our next baby! This would be perfect to use with our new baby! I would LOVE to have this!! We have a pool AND a BABY!! I need this!! I have an 11 month old and having a water wrap would be very helpful at the beach or pool keeping baby close so I can focus on my other 3 kiddos! Would love this now that we go to the pool a lot! No, I don't need a summer wrap but my daughter does. I could definitely use this carrier during our hot & humid MN summers! Yes! I need a summer wrap for my baby girl (who is now 5 months old) so bad! :) I have been looking for a great one & this one looks awesome! We desperately need a summer wrap! We love the Moby wrap, but it's hot and humid and can get pretty ncomfortable in the summer temperatures! My sister-in-law would LOVE this!! It's sooooo nice! :) I realy need this for my little Charlotte !! I wish I had one! I didn't even know they made them. This would make the pool with other kids so much easier!! I would LOVE to get my hands on one of these!!! I LOVE to swim, and we have hot humid summers, I was swimming the other day and thought, how is this going to work well with a nb?! What a great idea; I could def use this! I would love to win this! I've been interested in a water wrap or sling for some time, for shower use and for our FL vacation this August! We're trying, so I would love a new wrap. I never got the hang of my last one. My cousin is due to have a baby in a month. This would be perfect for her. May daughters both have babies and sure could use something like this! I need it for my baby! I was just talking to my sister about something like this- we both have newborns and have been looking for a breathable, lightweight wrap to use in the summer months! This is awesome! We don't have one like this, so that would be great to win! We totally need a summer wrap! We have a baby due in August. I'm really hoping that the heat doesn't cause me to babywear a whole lot less. So many of my friends have little babies, and they'd make great gifts! I absolutely need a summer wrap. Thanks for the opportunity. I was just thinking I needed to find an awesome water wrap! we were just talking about going swimming since our daughter is finishing swimming classes and i was wondering how i'd get to go with my baby. she's too little for a floaty toy and this would just be awesome. With 4 kids 1 being an infant I definitely could use this! This is JUST what I've been looking for this summer! With Baby #2 due anytime now, a summer wrap would AWESOME! I would love a lighter summer wrap! I really want one of these for the shower. Yes, because I love to go swimming! Yes, I DO need a water wrap! this wrap is beyond brillant! I'm in the pool ALL the time with my son, and have a baby due very soon! this would make swimming in the pool easy! I love my mei tai, but I would love something for the water. I could definitely use this! I'm using an old-school Baby Bjorn and it's killing my back! need it! baby on the way. I really need one of these. We love swimming and are moving closer to the coast. ALL DONE! I’M ITALIAN FOLLOWER ENTER ME, THANKS! ^_^	YES, I REALLY NEED! I'm expecting my 1st baby, a son in October, but would probably gift this to my cousin who is also expecting his first son in October and lives in St. Thomas on a boat. This would be perfect for them! I would like to win this wrap for my sister in law who has become a mum for the first time! I'd love this! I have a black moby...definitely NOT a good choice for this summer heat! I do not have any wraps. Just a few soft structures carriers or pouches. I would love to have this light-weight carrier and I'm dying to have a water wrap!! Yes, I would love one. I never considered how HOT you probably get wearing a baby wrap. Something made for staying cool is such a great idea! I'm 1 month more to go to labour! This is really exciting imagining swimming with your baby close, real close to your body and of course your supervision! There's nothing to worry I guess! perfect for going to the lake! I have 3 under 5. A water wrap would be amazing! I do need a summer wrap! Baby #2 will be making an appearance any day now, and I intend on doing lots of baby wearing! A summer wrap would be amazing! 100 degree weather declares for water activities and this would be a great benefit for swimming, boating and just hanging out by the water. i would love to win this for my sister she would love this! I'd give this to my brother and sis in law - hoping to have a baby soon. I do need a water wrap! My darling 10 month old will not let me take a shower without her. I have gotten really good at washing my hair one handed, but it would be soooo awesome to not have to worry about her slippery, soapy self falling down my hip! Just this week I was trying to shower with my 10 week old baby and I thought, this would be much easier if there was some kind of carrier I could put him in... Here it is! Yes, I could really use a wrap like this one. I'd love to test out a water wrap at the beach this summer. Yes! I need a summer wrap! Baby girl just happens to be teething during the hot humid summer months! A carrier is a must and my current ones leave us both sweaty as all get out! I hope I win! I don't need it but I know someone that does....this will be a great gift! We live in FL, so yes. It's been so hot here lately, I'd love this! Yes! I have a Beco which I love but we live in Georgia and it is SO hot to wear my little guy right now! This looks like so much fun to take the baby swimming! One of these wraps would be awesome! Especially since you don't necessarily have to use it in the water, although I would love to do that, and it's been still near 80 degrees where we live in the late evenings. It would be nice to still be able to use a carrier if he wanted held if we went for a short walk. Yes I do! I don't have a wrap for summer and really need one! I would love this - my hubby & I are waiting to adopt a newborn - when the time comes, I'd LOVE to have a water wrap to take the baby to the pool in the summer or on vacation, or just to use as a lightweight wrap during these 103 degree days we're having here near chicago! I don't need a summer wrap for myself, but I could use this for my friend's baby shower! Just thinking that these would be nicest I could manage all the kids. Yes! My Moby is way too hot! 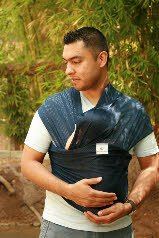 Currently sporting the organic Boba wrap, but heavens, is it hot! Really wanting a cooler baby wearing option to keep my little pumpkin snuggled close, but without overheating herself or mom! It would certainly be nice to have one of these as we hope to be able to take Baby Man to the water park and pool. With twins, would be really nice to have a water wrap carrier! It doesn't get overly hot, but it gets humid and clothes can really stick to ya! I definitely need a summer wrap. The one I have now is so hot for both of us and since the temperature is just going to get hotter I would love something which keeps us close but is so much cooler! a water wrap would be so handy! I don't have any babies quite yet, but would either save this for when I do, or share with friends who could really use it! It would be really nice to have a water wrap carrier! I would love one of these! I think my 4 month old daughter would feel a lot better about going in a pool! My sister in law needs this wrap. She has a 7 week old and has a beach vacation planned later this summer. Thanks!!! we just moved to the Bay Area and plan to spend lots of time at the beach and pool, so I definitely need a water wrap!